Australia's famous Gold Coast is a top spot place for people looking to surf at great beaches, enjoy the warm weather, trek through alluring rainforests or even sightseeing down on the ocean front. Hiring from Gold Coast Airport car rental will make your travel easier to places you want. You can even take an unforgettable dinner-cruise on some of the best luxury yachts’ on the Gold Coast. The Gold coast is truly an enjoyable travel destination made even better when you use our Gold Coast car hire service to explore all its popular beaches, shopping & dining spots, fun areas and inspiring historical buildings. Coolangatta Airport car hire offers cheap rental services to take you on your top destinations list. You will also have the freedom to drive down to the nearest City of Brisbane and explore the various theme parks, wildlife parks, fantastic restaurants and bars with Brisbane car hire. Choose from a wide range of Gold Coast car hire- tarago vans, station wagons, small sedans and SUVs and cruise down to the Gold Coast’s favourite picnic spots and beaches. The Gold Coast is blessed with over 300 warm sunny days in a year; meaning you can make the most of your next Gold Coast holiday. Good roads and affordable Gold Coast car rental allows you to make the most of the scenic drives to the secluded beaches and makes exploring the towns and surrounding areas quite hassle free. As the preferred Gold Coast Car Hire Company in Queensland, Select Rent a Car offers tourists and visitors a wide range of affordable rental cars - from fully luxurious sedans, spacious vans, family sedans and small compact cars. At Select Rent A Car, Gold Coast car rental offices are open seven days a week. Our friendly toll free call option, easy car pickups from airports and convenient office locations make picking up a car simple and convenient. For more detailed information regardingour Gold Coast Car Rental, please contact us. 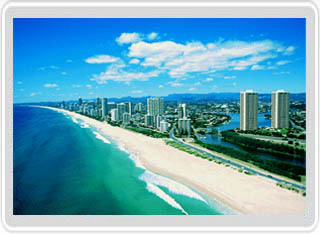 Select Rent A Car also provides Surfers Paradise car hire services. We also recommend the use of Cutprice Car Rentals for your Gold Coast Car Rental needs and Suncoast Car Rentals for your Car Hire Gold Coast requests.